Do you ever find yourself pausing and wondering how your reading interests come about? My interest in 1930’s is entirely new, and it comes from the fact that I happen to have noticed that over the past few months I’ve read several excellent books from this decade: Nightingale Wood and Cold Comfort Farm by Stella Gibbons, Dorothy L. Sayers’ superb mysteries, Alas, Poor Lady and The Brontës Went to Woolsworth by Rachel Ferguson, Ballet Shoes by Noël Streatfeild, and so on. The 1930’s were also the decade of such classics as The Good Earth, The Grapes of Wrath, Brave New World, Gone With the Wind, Rebecca, The Hobbit, The Big Sleep, Tender is the Night or The Waves, just to name a few. Some of these were books I enjoyed; others have been on the TBR list for far too long. My interest in the decade also has to do with Virginia Nicholson’s excellent Singled Out, which made me add novels from the 1930’s to my wishlist like there was no tomorrow. And last but not least, I’m under the influence of Verity from Connie Willis’ To Say Nothing of the Dog, a historian who specialised in the 1930’s and whose passion for the period and its literature was contagious. What I find so interesting about this period is the fact that this is a time when the world was already very distinctively modern, yet at the same time the decade is so tied to an even more distinctive past that it feels very remote. Some of the people born in the 1860’s or 1870’s were still around in the 1930’s, which means they had lived to see cars become more and more common; the first flights; the popularisation of electric lightening; of telephones and cinema; etc. What a transition this was from hansom cabs and gas-lit streets. As Nick Hornby once pointed out, it’s a little strange to think that Thomas Hardy lived to see movie adaptations of his novels. And this not to mention, of course, the countless social changes. Much of the older population was still distinctively Victorian in their values and outlooks. What did they think of the world that surrounded them, of the changes in gender roles, in the class system, and so on? Some of the aforementioned novels deal with this very question, and the answer, or the many answers, absolutely fascinate me. At first glance, the 1930’s may seem less distinctive than the “roaring 20’s”, but the decade was so eventful, and so interesting in so many ways. These were, needless to say, dark times: there was the Great Depression, the Spanish Civil War, Hitler’s rise to power, and the approach of yet another world war. What did those who remembered the horrors of WWI feel as the possibility of another war became more and more inevitable? In Dorothy L. Sayer's final two mysteries, WWII is a dark shadow looming on the horizon. My heart breaks when I think of what her characters would have to endure for the second time—as it breaks for the real human beings that saw another world war approaching with the first one so close behind them. I thought it was interesting (and very saddening, though understandable) that Sayers decided she couldn’t write any more mysteries once World War II broke out. The fact that many of these novels deal with individuals responding to what we now know to be big historical events is part of what makes them so interesting. But there’s also the fact that the decade, especially its early years, has some of the same glamour that we associate with the 1920’s. All of this appeals to me, so I know that over the next few months I’ll be reading more books from, set in, or about the 1930’s. Just enter your name, read your book(s), and then come back and leave me a link to your post about what you’ve read. If there were enough posts to merit it, at the end of the three months I’d do a link round-up so that we could all add even more interwar literature to our wishlists. And then perhaps I could draw a name, and the winner would get to pick one of the books read for the mini-challenge. What do you say? As you've probably noticed, many of the books on the Persephone catalogue are from the 1930’s, so those of you doing Verity and Claire’s Persephone Week next month could easily kill two birds with one stone, or at the very least get some excellent reading suggestions. There’s also some overlap with the wonderful Classic Circuit’s Golden Age of Detective Fiction Tour, which will take place in May and June. Have I tempted you yet? Are you a fan of literature from the 1930’s? Any recommendations? Or do you have any decades/time periods that particularly interest you? How did your interest come about? ETA: I've added a second McLinky where you can leave your reviews and see everyone else's: here. I know challenges are falling out of fashion but when you feel passionate about something, you just got to go for it. Reading your post, I have decided that I love the '30's too! I really didn't ever put much thought to it, but so many of the books I read and love DO represent that time period! I'm so tempted to join your challenge, but I'm feeling bad about them right now. It isn't that I don't LIKE them, but that I can't seem to stay focused on them. I get diverted. So I will abstain, but I will be there with you in spirit! I'm so taking part in the challenge. There are some books from that period that I've been dying to read - this will now finally force me to move them to the top of Mount TBR. It's a great idea and I can completely understand your fascination with that period. I would have to agree with everything you've said. For me, as a German, this period of course meant that a really adrk time was looming ahead. I'll see which books I can find and I'll let you know. I personally have an obsession with the Victorian period. The classics, but also the Neo-Victorian novels. I devour everything set in Victorian England. Well, I love books set between the wars, as you know. I don't even know when it all started, but I just know that I love to read about that period. I can't promise to take part in your challenge, but I will see what book I can find that will fit in and I will let you know soon. Hi Nymeth! I've followed your blog for over a year and I love it! I tried starting a book blog but I got way too busy with life, but I really wanted to start it up again so I'm starting with this challenge. Hopefully it won't be too difficult since I just finished a course in British Fiction of the 1930s, so I have lots of ideas for reading material! Is it really a challenge when they are books you already planned to read? Maybe not, but then it is a read-along which is just as much fun; plus when the theme is enjoyable, you discover even more books you might be interested in. I have a Classic Fiction book from 1937, AND the Brontes Went to Woolworth's AND that's just the ones written in the 30s. Might I recommend Clara Callen - set in the 1930s, a Giller winner, and epistolary? This is such an interesting challenge idea. I must admit to an embarrassing lack of knowledge about the 1930s; I rarely know the time period I'm reading about, at least not specifically, so this is sort of an eye opener for me. I'll have to start paying attention. Well, you've convinced me! I think I can manage to read one. I'm not doing very many challenges at the moment and I've been looking at Persephones anyway. No idea which one I'll choose but I'm in. This is such an inspiring post! The poor 30s do get neglected don't they, and you're so right about it being a great decade. I definitely want to join the mini-challenge. I've read Cold Comfort Farm and three du Maurier books (I've signed up for the du Maurier challenge as well - thanks for the link!! ), and To Say Nothing of the Dog. Have you read Spanish Fly? It's a recent novel set during the Depression about three con artists - very rich in period detail! My problem is I'm not always aware of what is 30s. I recently read Brave New World but it's funny, I never thought of it as a 30s novel even when I was looking up the original publication date. When was The Great Gatsby? I've read some Fitzgerald and Hemingway but I can never remember what period they "belong" to most. 40s? How could I say no? 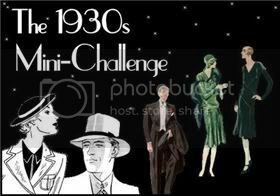 I will definitely do the 1930's mini challenge as I know I have books that need to be read (including the Persephone books). Also a Daphne Du Maurier challenge! Can I fit that in too. Hummmmm. I need to think on joining the challenge. So deceptively easy: just read one book. The time between the wars is truly fascinating. Rachel Ferguson I have heard of but never read - must try and find some of her books. I feel the same way about the 30's and 40's -- I am fascinated by the idea of people reared in the Victorian era mingling with those born in the age of world wars and motor cars. If I can find a book I'd like to read, i'll definitely join. You make a compelling case. I have to admit, the time period doesn't appeal to me when I just think of it, but it does have many interesting aspects to it as you've pointed out. I love the 30s! Mostly I love the clothes (and from the 40s) but I totally love the literature too. And you know 1930 was when Nancy Drew solved her first mystery! Love those old books. Ooh, I´m in! The 30s were such an interesting time, especially considering the decade as being between two world wars. I love the button too. I'm so excited. Believe it or not The Big Sleep is on top of my bed right this moment. Anyway, this is exciting. I'm in no way tired of challenges either. I hope reading challenges are here to stay. I'm just slow doing my part. Thanks. Now that you mention it, the 1930s was truly such a great era! I've probably read more books from that time, but right now I can only think of Brave New World. That was a really good book. I think they're fabulous. My pocketbook and TBR list don't back me on this opinion but whatever! Okay, you got me. I have always wanted to read Sayers and Gibbons. This is going to be so much fun :D And I have to admit that this is an era that I THOUGHT I had no interest in literature wise until just recently when you started exposing me to all kinds of cool shite. And now I shall go try to get my hands on Cold Comfort Farm and start reading Sayers like crazy until I catch up to her in the 30's! Oh yes, I am so in on this one! Great idea Nymeth, I love this era and have so many ideas already for what I will read. I will post and link back soon when I've decided. Thanks for hosting this! This is exactly the kind of reading challenge I'm up for these days! I'm in. I might read Billy Bathgate, or look into some others. What a fun idea for a challenge! Thank you for hosting. Great idea! I love that time period too. As a matter of fact, just this afternoon I started reading a 1930s book, Two People, by A.A. Milne (! ), so count me in! I'm in! I've been listening to Daphne Du Maurier, and am just getting ready to start another of her books, so it's perfect! As luck would have it, I just borrowed Miss Pettigrew Lives for a Day, by Winifred Watson, and Gibbons' Nightingale Wood from the library. Both published in 1938. So, I'm in. The 1930's are a bit of an unexplored era for me, so I had to join this challenge! Fab Idea, thanks for hosting this. :-). I love the interwar years especially the 1930s! I can't wait to look through my bookshelf to decide what I'm going to read. Great challenge Nymeth! I always think that I hate the 1930s, but what I actually dislike is books set during the Great Depression in America. I am addicted to interwar books set in Britain. I am not going to officially play in this challenge (maybe) (or maybe I will) (I am trying to decide whether participating would make me feel like I am weak-willed), but I'm definitely going to read Nightingale Wood, at least. I haven't read many books set in or written in the 1930's. Really, I think maybe only one or two, but I am interested in the time period and think that I might join your challenge informally. I do have a copy of The Good Earth and The Grapes of Wrath on my shelf, and I have been looking for a reason to by a copy of Singled Out since reading your review, so I might just find a way to fit it in!! Thanks for this cool post! Claire: Thank you for reminding me that I need to read some more Jean Rhys! I adored Wide Sargasso Sea, but that's all I've read so far. winstonsdad: Welcome! And a translated book is an excellent idea. dinobill: Aw, thank you so much! And thank you for saying hi. I hope you manage to keep blogging this time, though I completely understand how it can he hard when things get busy. Meghan: Welcome! I look forward to seeing what you'll be reading. Beth: It's not deceptive, it really IS easy :P And yea, it's a fascinating period. Katherine Langrish: I highly recommend Ferguson's Alas, Poor Lady - it's not as well-known as The Brontës Went to Woolsworth, but I found it even better. This is such a lovely idea. I'm having a wonderful time already, scanning the shelves and checking dates already! Oh you sure know how to tempt readers - Persephone books, Golden Age of Detective Fiction - Let me check the shelves and see what I can come up with! What a fantastic idea! I'm sure I have plenty of books from this period already sitting on my shelves just waiting for me to read them. And I know I can fit at least one of them in before July 18th. I don't sign up for challenges anymore but I know I would like this one. Any decade that has The Hobbit and Rebecca in it has to be good! Emidy: It was, wasn't it? I need to read it again. Fredegonde: OOoh, that one caught my eye the other day when I was browsing through the Capuchin Classics catalogue. Let me know what you think! Violet: Perfect! I've yet to read Miss Pettigrew, but Nightingale Wood is brilliant. Scattie: You're most welcome! Thank you for joining! I am SO on this! Simon, welcome! 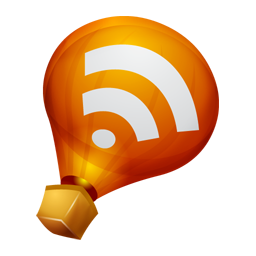 One of the things I love about your blog is exactly that you cover this time period so often. I look forward to seeing what you'll be reading. I've just started reading Winifred Holtby's South Riding, which is a perfect fit, but I will come up with at least one other title; the hard part (aka: the fun part) will be choosing because it's such a great era for fiction. This is a great idea for a challenge and I especially like the leisurely time period! I have Dashiell Hammett or Jean Rhys in mind. Great idea for a challenge. I'm going to check my TBR shelf and see what's coming up in the next three months. If I have three 1930s books, I'll sign up. If not, I'll check back to read the reviews and get ideas. Count me in! I'm currently reading Grapes of Wrath with Eva and there are a few Persephone books I would love to read soon. Great idea! I'm rather late with this, but you can totally count me in! I love between-the-wars literature. There's just something about the prose from that time period that speaks to me. Have fun with the challenge, Ana! I'm very much into army/war-related books now. Nymeth, sorry for posting a link to my latest book review, which wasn't my intention, but I guess it covers signing up anyway. Looking forward to this. I bought my wife some Georgette Heyer from the 30's that I myself am wanting to read. Talk about serendipity. You're reading about the 30s? Well...that's me. Andreea, as there are more participants than I had anticipated, I think I'll just put up another McLinky for the reviews - and add yours myself, of course. To everyone else, welcome! I can't wait to see what you'll be reading.